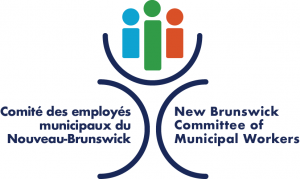 May 31, 2012: The New Brunswick Council of Hospital Unions – CUPE Local 1252- sees the new pension plan announced today by the New Brunswick Government as a very positive outcome for its members. “Our pension plan has been underfunded for a number of years and was in need of more funding or a new structure. We have been trying for many years to solve our funding issues. All proposals put forward by the union in the past to solve this issue had not been acted upon by the parties. Without any changes, our members may have been facing benefit reductions”, explained the President of the New Brunswick Council of Hospital Unions, CUPE Local 1252, Norma Robinson. “The new plan model remains a Defined Benefit Plan but the major difference in the new plan is the shared risk. The New Brunswick Council of Hospital Unions, CUPE Local 1252, represents more than 11,000 front line workers in the health care sector.